This weekend brings news we couldn't wait to share with you! The Man from U.N.C.L.E. Blu-ray/DVD combo pack is now available to pre-order in the U.S. -- Amazon UK has been offering that option for a while, but it just recently became available on their American site. Here's the link to pre-order your copy today. No word on what extras it comes with or when it will be released, but we'll stay on top of it for you. 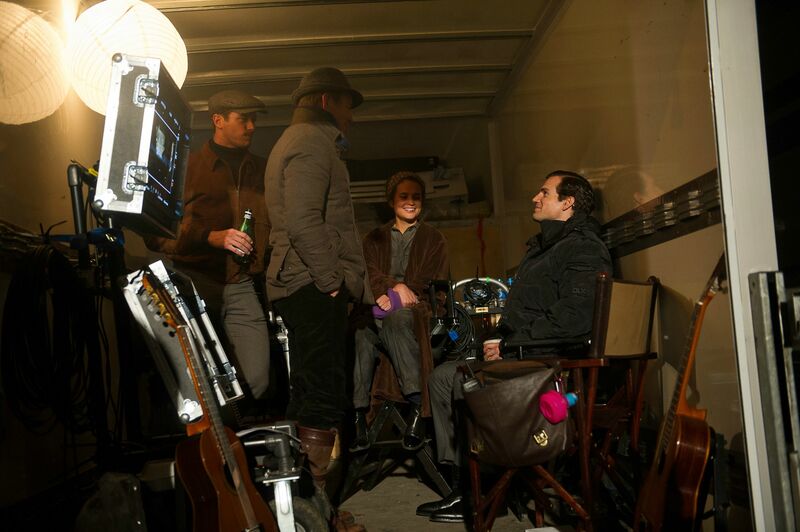 One place you definitely want to check out, is the behind the scenes section over at manfromuncle.com -- There is some really cool stuff in there, including never-before-seen pictures of the cast like the one at the top that shows Henry and his costars chillin' between takes with director Guy Ritchie. And here's some behind the scenes awesomeness you have to see! Cinesite was in charge of some of the visual effects for The Man from U.N.C.L.E. and they've just put out an article that showcases their work which is simply amazing. Make sure to try out the slider at the bottom of the post to see the movie magic they created. FX Guide also has an excellent article that breaks down some of their work in key moments of the film, including the opening car chase and the boat scene. It includes b-roll involving some of Henry's work, and the clip below that highlights some of what they did. Don't miss it. And remember that scene *spoiler ahead* -- where Illya is surprised to see an aircraft carrier?.. Okay, what we remember is Henry being his witty-self as Solo ;) anyway, the scene is one of the funny moments in U.N.C.L.E. and this following article praises director Guy Ritchie for his accuracy in portraying the era. It's also a must-read. The film had its French premiere at the Deauville Film Festival this weekend (no stars in attendance), and people seemed to really like it! The Man from U.N.C.L.E. 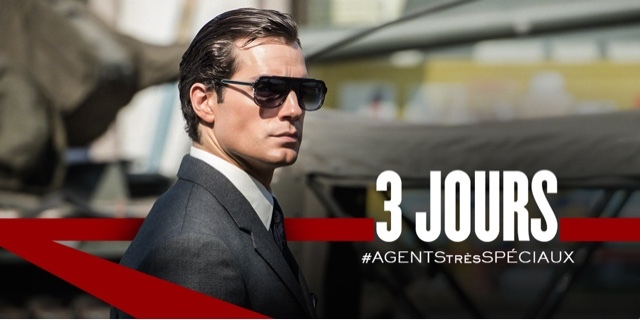 opens in France on Wednesday, September 16th. You know what to do, représenter! https://www.youtube.com/watch?v=OdatOU5eDis - you forgot the most important interview of armie and henry in Brazil. Love all the pics, video clips and interviews (y) Thanks for sharing.